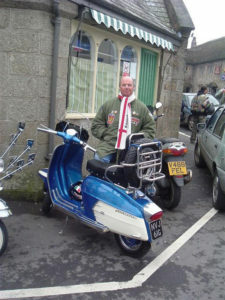 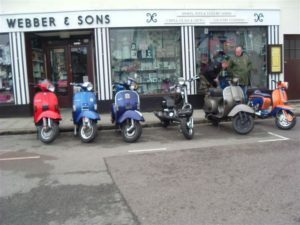 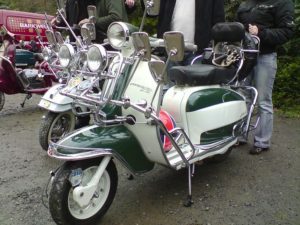 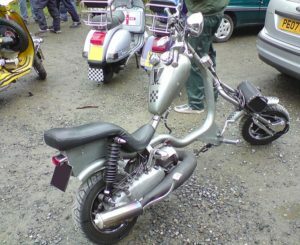 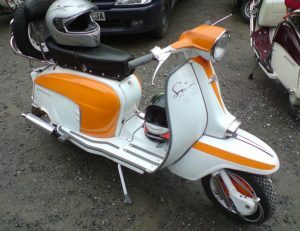 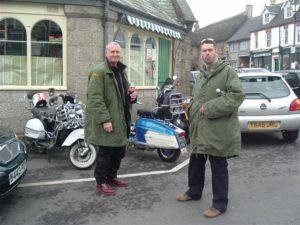 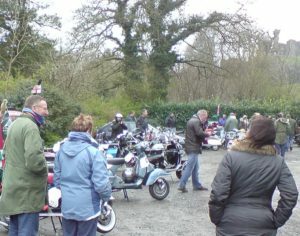 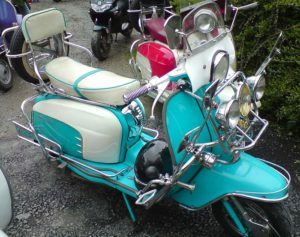 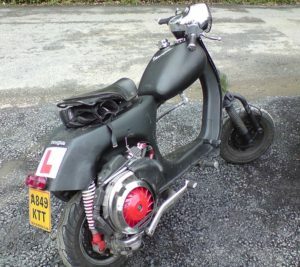 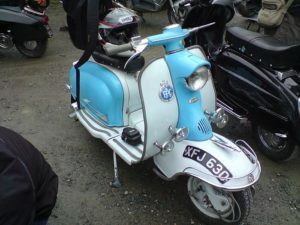 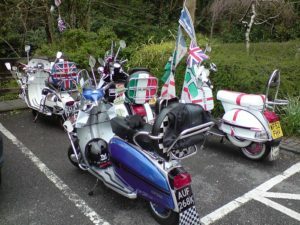 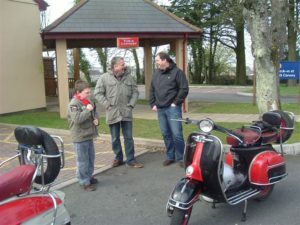 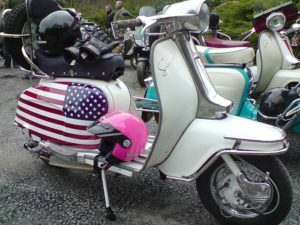 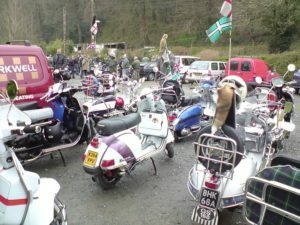 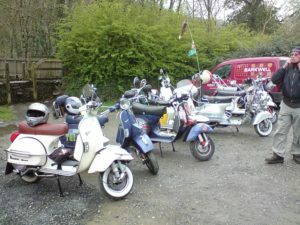 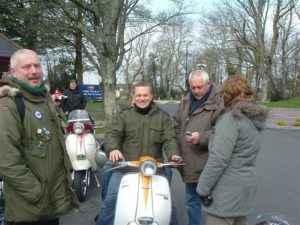 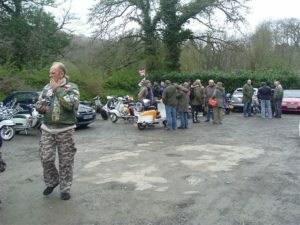 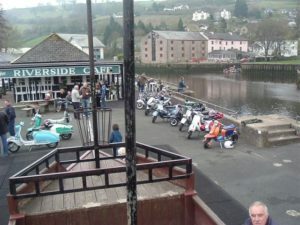 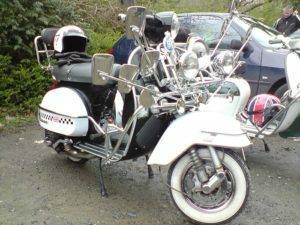 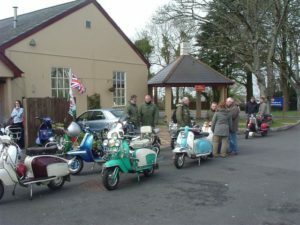 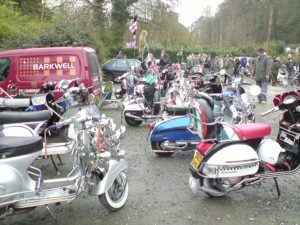 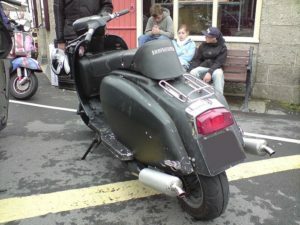 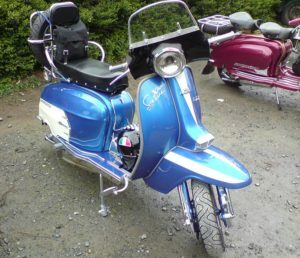 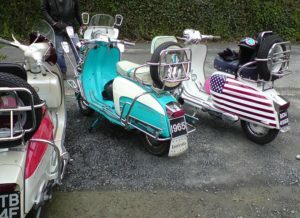 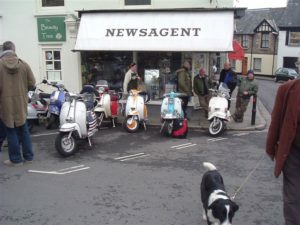 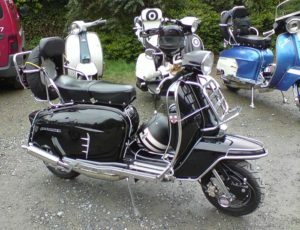 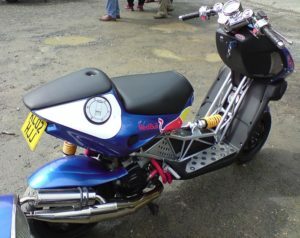 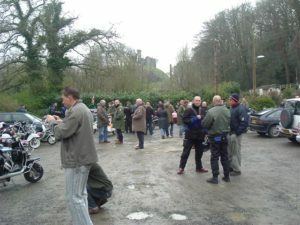 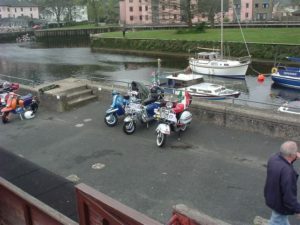 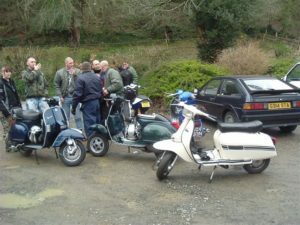 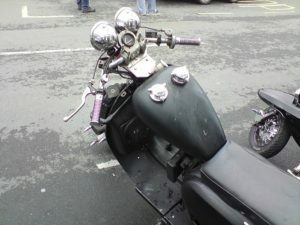 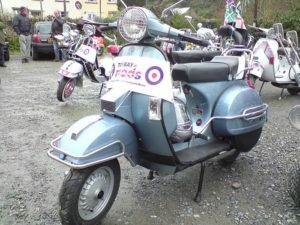 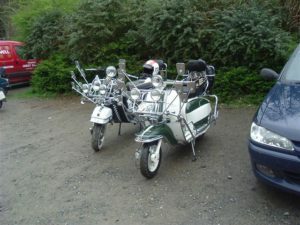 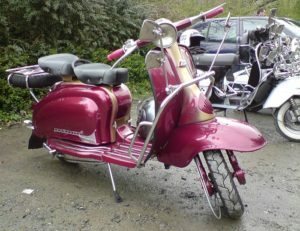 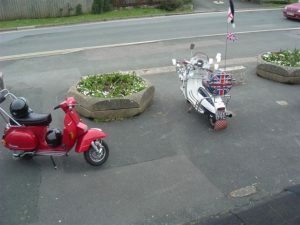 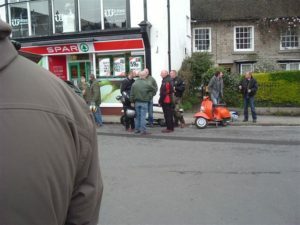 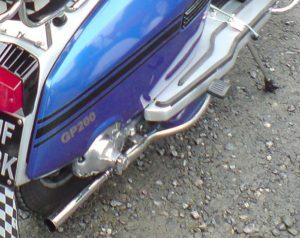 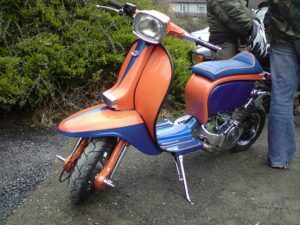 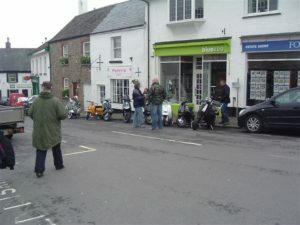 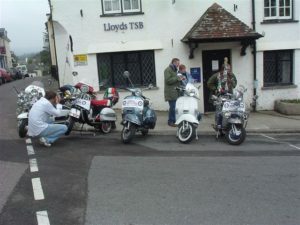 There were over 50 scooters that turned up at Okehampton Castle car park at about 12pm on 20th April 2008 coming from all over the South West including Bristol, Plymouth and Exeter. 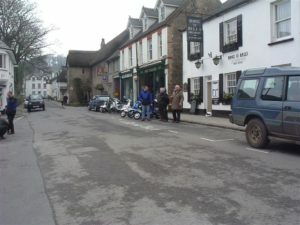 Next stop Chagford where we parked in the town centre for about an hour. 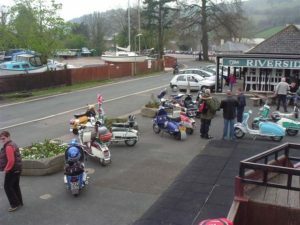 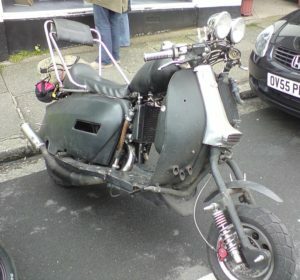 Then onto Bovey Tracy to refuel before going through Newton Abbot to the Riverside Cafe Totnes before finally heading for Torquay Harbour. 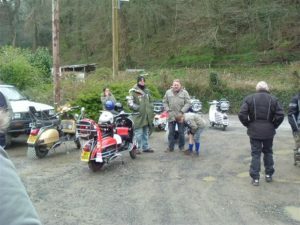 Weather was perfect but drizzled a bit in Torbay. 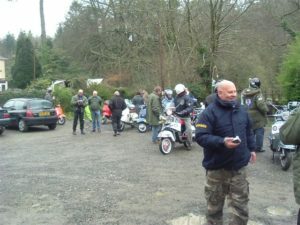 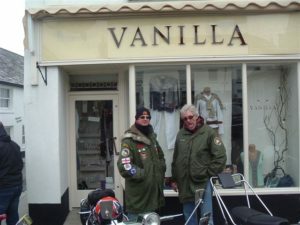 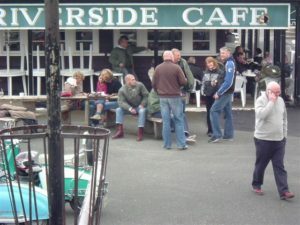 Great day out thanks to Simon from the Showmen SC who organised it.